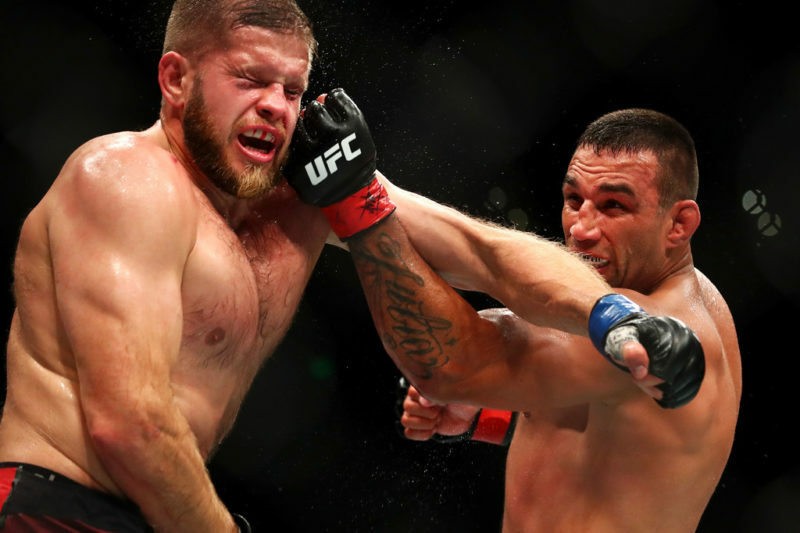 UFC Fight Night 127’s main event saw legend and former heavyweight kingpin Fabricio Werdum taking on hulking Russian assassin Alexander Volkov in a pivotal rankings shuffler, and what a scrap it turned out to be. Normally heavyweight fights go one of two ways: either a bone-crunching knockout and an early night for all concerned, or a sweaty yawn-fest where they’re gassed thirty seconds in and spend the rest of the fight lying down and wheezing. When Werdum hit the NOS with one of his signature flying kicks right at the opening hooter, things looked set to follow that first one. 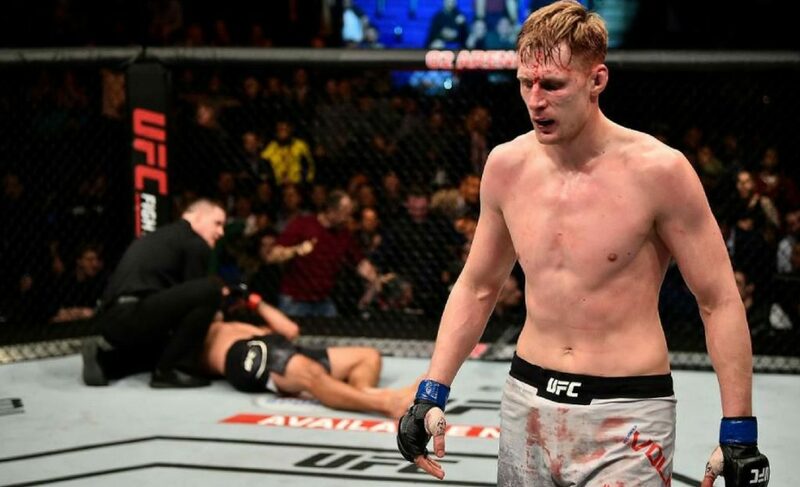 Volkov, a former training partner of Werdum’s, was wise to the maneuver but succumbed to a takedown immediately after. He spent the majority of the round on his back being smothered by a heavier, far more technically skilled ex-champ. 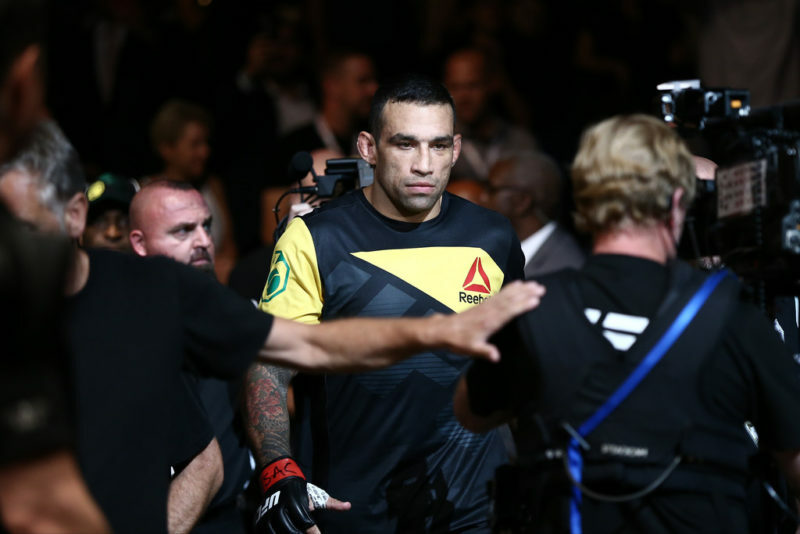 Werdum looked infinitely comfortable in top position, and that’s where his downfall eventually lay. More on that later. Volkov, though he weathered the heavy top pressure and ground shots well, was clearly out of his depth. He made little attempt to pass or scramble, and when he did he was handily rerouted back to the mat. 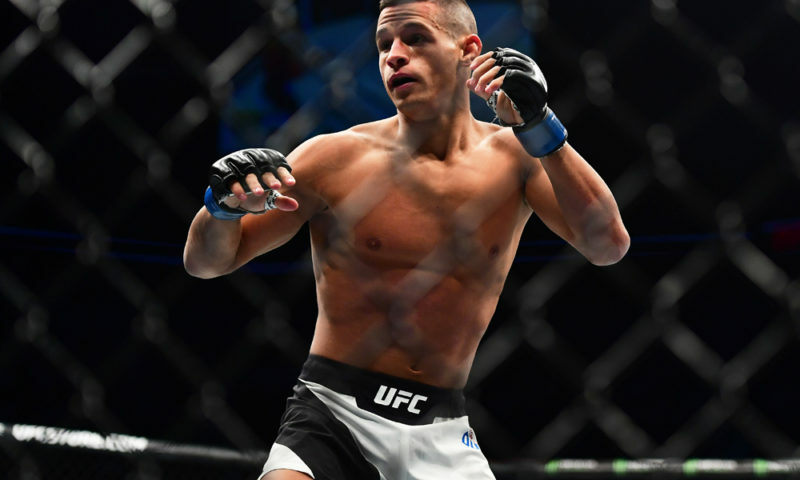 Still, if he couldn’t overcome Werdum’s ground game, he was able to remain calm and avoid any serious damage, even surviving a kimura attempt at the end of the second round. 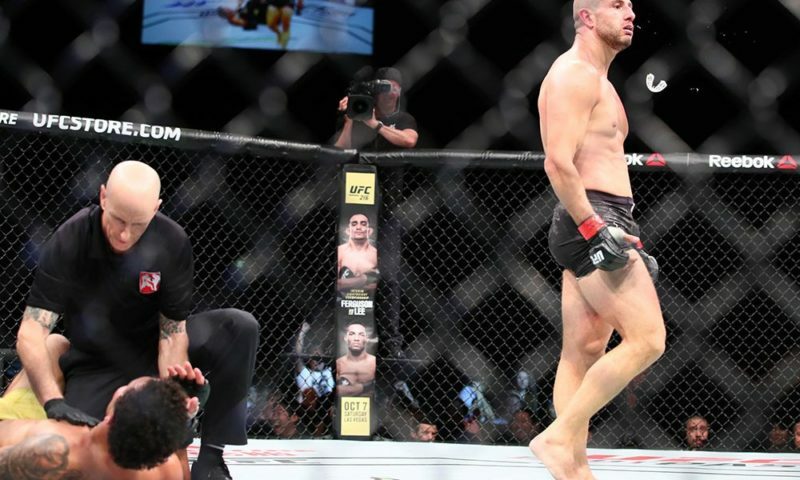 Werdum hung around on the feet when it suited him, and when shots were sneaking through his guard, the Russian often charging forward with pinpoint punching flurries, he just snatched a leg and returned the fight to his comfort zone. 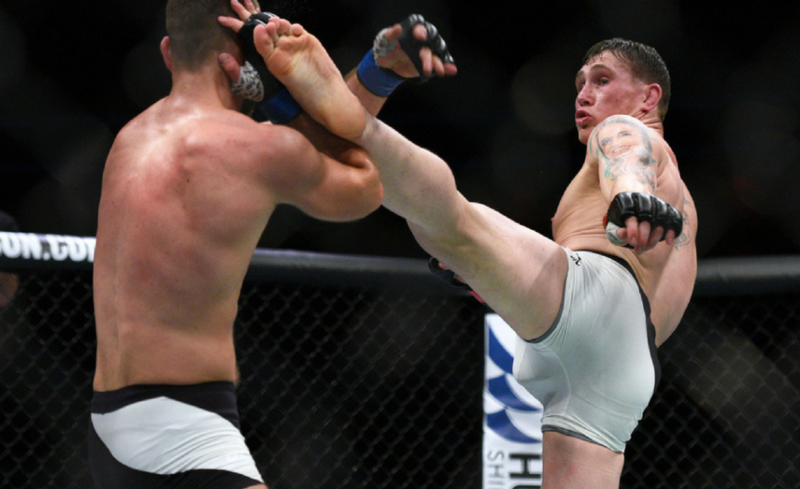 As the minutes wore on and both fighters started blowing steam out of their mouths, their movements slowed down and their hands dropped. But this by no means meant the fight became boring. On the contrary, it was a fantastic back and forth struggle between two seasoned veterans, with both men having great success in their individual areas of strength. An elbow on the floor cut Volkov, and Werdum would have his right eye completely swollen shut. And when the fight once again went to the floor there was always the danger of a sneaky Werdum submission should Volkov’s concentration slip. I for one was on the edge of my country style oak chair clenching my buns and spilling my pina colada, and had I any nails left after the Manuwa vs. Blachowicz fight I would’ve chewed them off. While the pace did slow somewhat, it was still on the speedy side for a heavyweight fight, and very closely contested. It was in the fourth that proceedings were ultimately decided. As I mentioned, Werdum’s utter dominance and comfort in top position proved his undoing. 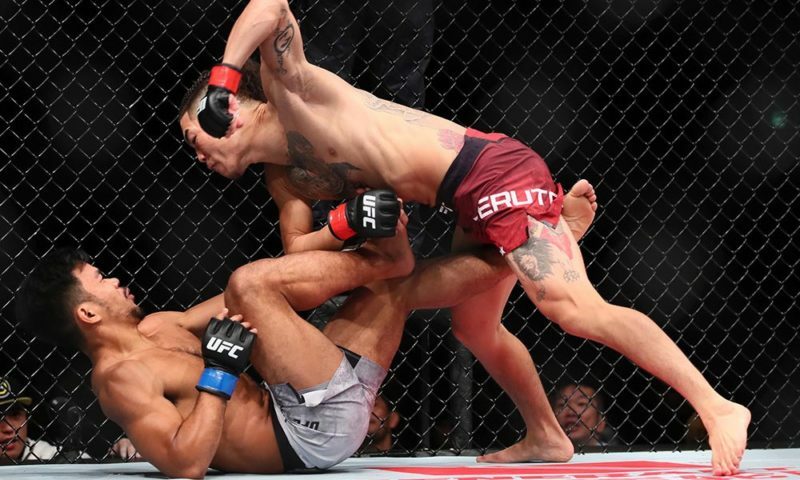 It didn’t appear as though he was in any hurry to force a submission until that point, knowing he was so much better than his opponent on the ground. Perhaps his corner, between round three and four, told him to get on his bike and pull ahead in what they must have thought were very close scores. And dump the clutch he certainly did. 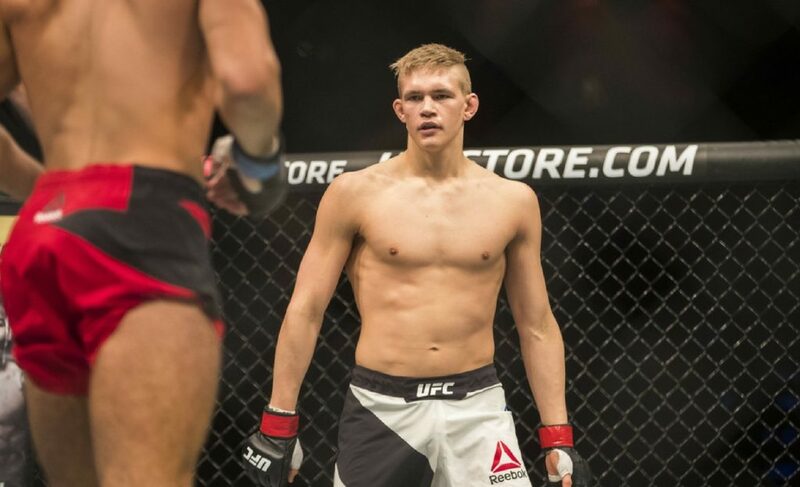 If he wasn’t shooting for takedowns or trying to bait Volkov in by falling down a lot, he was swinging bones and imperiling himself with wild shots. The ending happened suddenly. 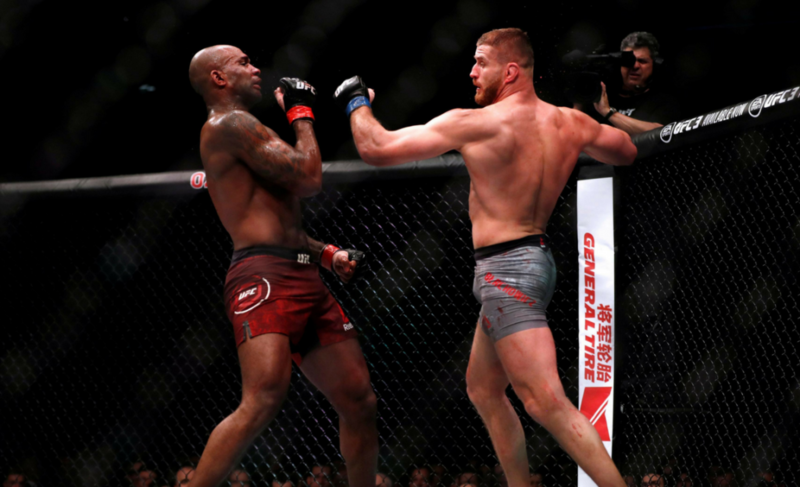 Volkov managed to scramble into top position on the ground and after a little pause, he stung Werdum with two hard shots that appeared to dazzle the Brazilian. 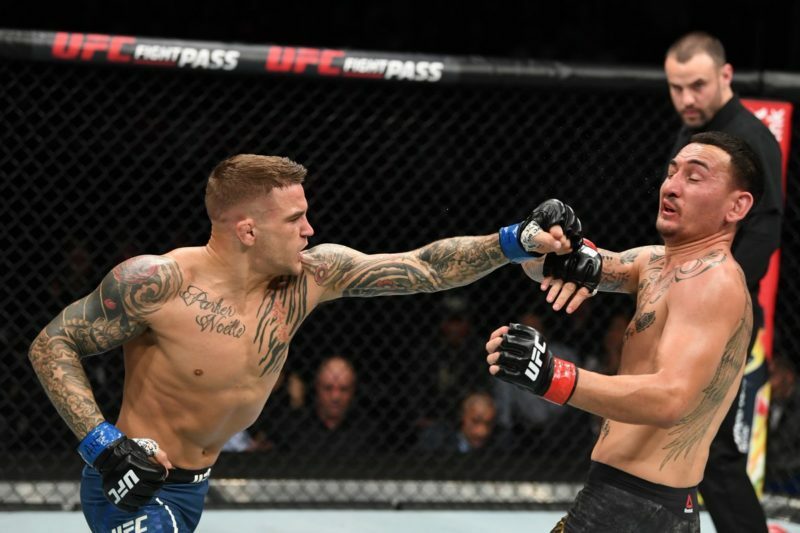 And when the fight returned to the feet, Volkov had by then found his timing and range and deployed a fast barrage that ended in a short shovel uppercut with the right that floored his opponent. A quick pass of the legs and one piston-like straight rendered the judges’ terrible decision-making skills redundant. This was one of the more entertaining heavyweight fights in recent times. 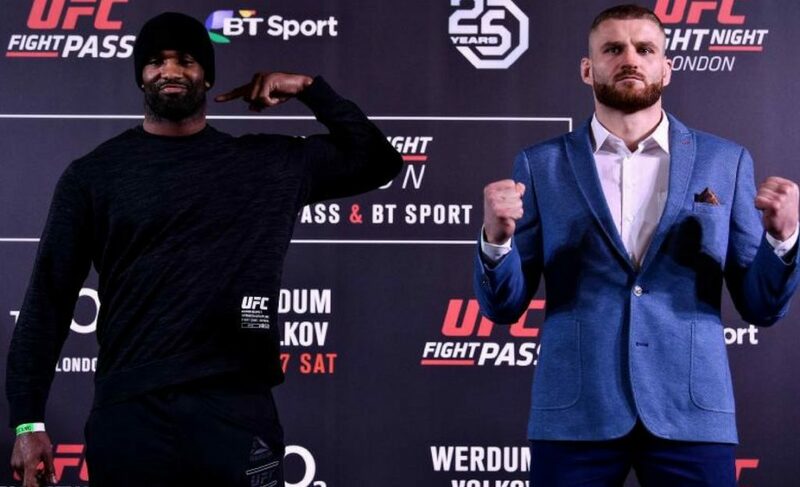 Though Volkov didn’t seem too fussed about who he wanted to fight next, it’s odds on that he has put himself right into title contention and is surely a legitimate threat to Stipe’s crown. Provided Stipe makes it through Cormier, first.